Eating food from natural food markets is just as important for body, as finding the right licensed professional to tend to your eyelashes. An ‘in-and-out’ lashing shop can harm your lashes, similar to convenience food to your body! Each lash extension must be meticulously placed on top of ONE of your own natural eyelashes or you risk damaging your natural lashes. Many technicians call this the ‘clustering effect,’ as it can put a strain on the slower growing lashes and eventually pull the weaker lashes out. To maintain the length, volume and thickness that keep your lashes looking lush and beautiful, plan on visiting your lash technician every three weeks – Similar to nail fills and gel manicures! So, now you’re in the know! 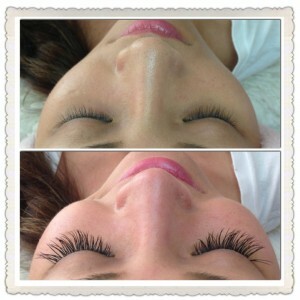 Properly applied eyelash extensions DO NOT HARM YOUR OWN LASHES! You can wake up with beautiful lashes on your honeymoon, Holiday away or everyday without the need for mascara. So go ahead and get Lashed…! !